The Andrew Bayne Memorial Library is an absolutely beautiful building. I had the opportunity to visit this amazing location with our new Maker Corps Members (Sam, Lauren, Lindsay and Nick). 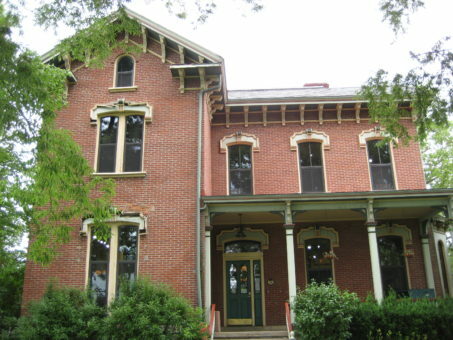 The library is located in an old mansion which is surrounded by a lovely park. The entire second floor is dedicated to children’s education, and that’s where we spent the majority of our time. We brought a bunch of electronic materials and simply explored what we could do with them. We brought a bunch of motors and LED’s and wires. There was a lot of time spent trying to create a spinning light using a motor and a LED, Later, I found out that I missed the light show while exploring the rest of the library. There was also a really loud motorized cardboard box built by Lindsay and young girl. Hopefully it wasn’t too loud for the library. 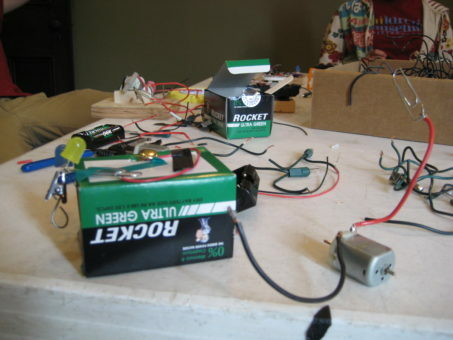 The most interesting thing created was a motorized generator that was able to power an LED. 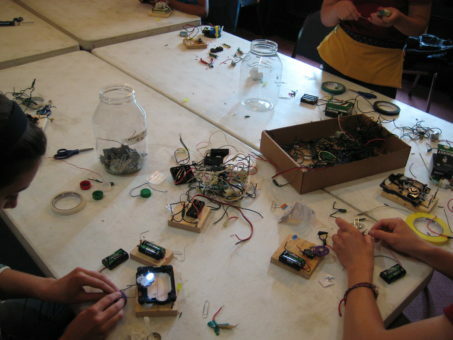 I’m not sure who had more fun, the kids or the Maker Corps Members. During this tinkering, I talked with some of the teachers at the library. One of them also worked at the local school in Bellevue and was really interested in continuing to use the Museum as a resource. Hopefully teachers at the school will be able to work with us in the upcoming school year to expand and collaborate on curriculum. Thanks again to the Andrew Bayne Memorial Library for letting us come and play for a couple of hours.